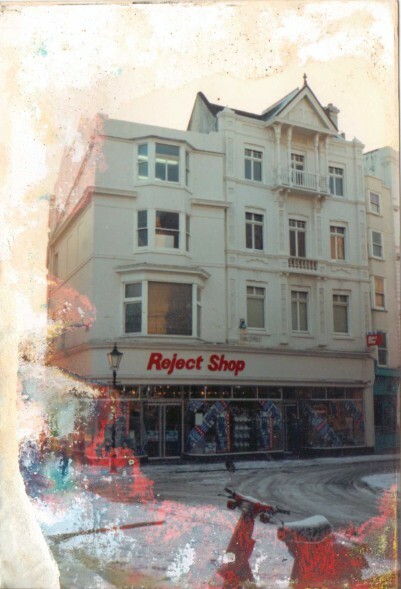 Back in the late 1980's and 1990's when there was nothing to do on a Sunday as all the shops were shut (yes, shut! unbelievable, but true!). I got really bored and decided to go out and take photographs around town. Generally dragging my friend Simona along with me. It was my little attempt at preserving a bit of our local history as most of which I photographed was in the process of being demolished. 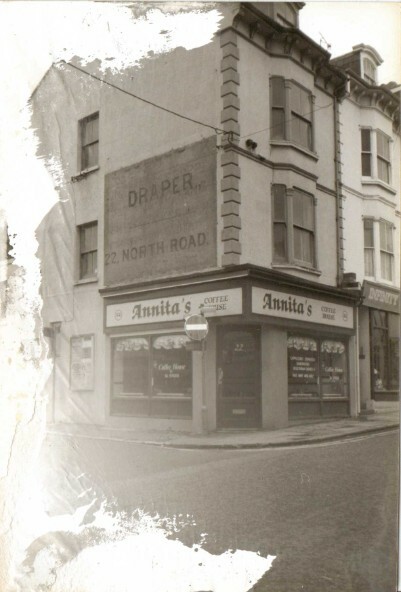 As I said a lot of the photographs have been very damaged by water so extremely poor quality. Also my photography skills back then left a lot to be desired but still it gives you a glimpse of what was there before. Above: The old Buxton's site in 2012 and now in 2017. 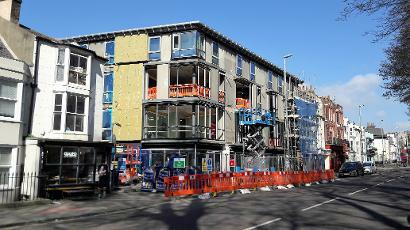 To become student accommodation. Above: Stone Street in 2013 and modernised in 2017. 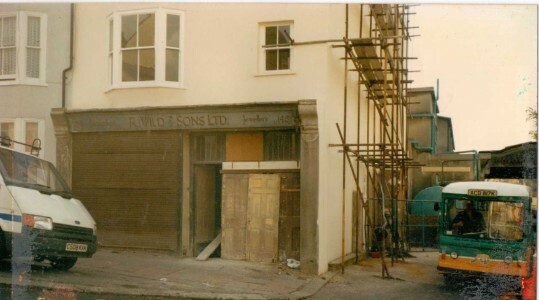 Old fly stables. Above: Corner of Elm Grove and Hampden Road in 2005 and again in 2011. I have fond memories of the Electrical shop and the man who ran it. I remember going with my Dad to buy our Christmas lights. Dad and that man could talk 'Man talk' for hours! 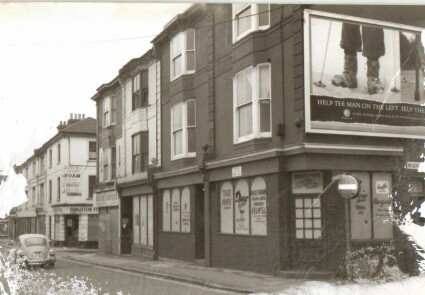 Above: Photo on the left of the corner of Brading Road and Elm Grove back in the 80's sometime. 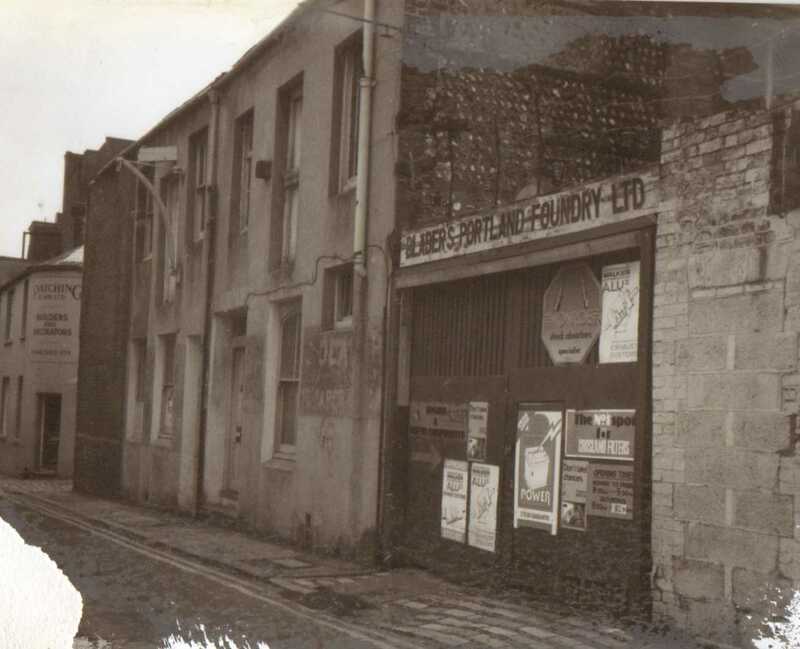 In this instant this photograph was supplied by Floss Jarman, the lady who ran Jarmans Pet Stores along with her husband. I loved going in here with my Mum to see their talking parrot called Polly. 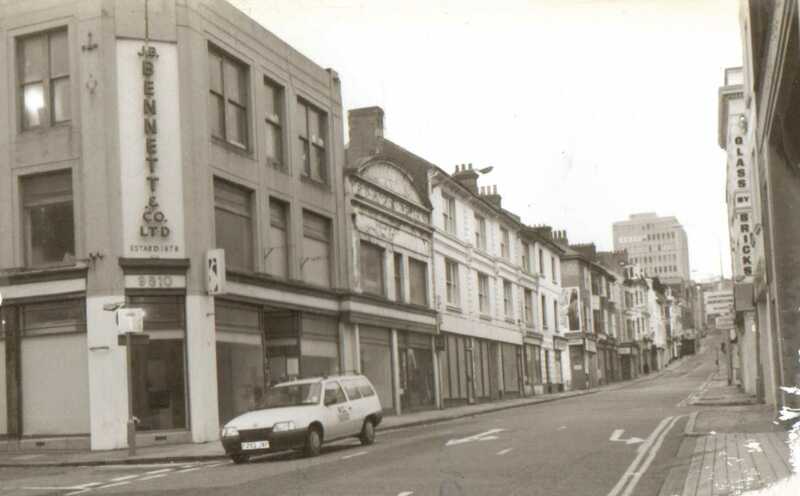 Above: Trafalgar Street at the junction with what was Wood Street. 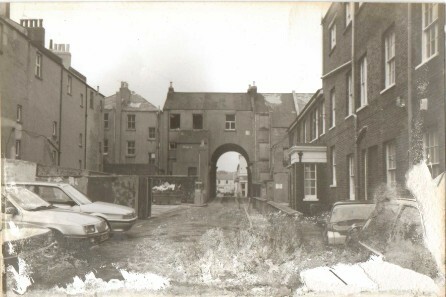 A street demolished in the 1960's and remnants still there in 1989 when the first picture was taken. It was tough trying to get a picture of where is was today but after some research managed to locate it. Second photo taken in 2012. Michael Norman Antiques in Frederick Street taken in February 2012. Four weeks later in March 2012 it has been demolished. Just pure luck I managed to grab some photos before demolition as I had no idea it was going. 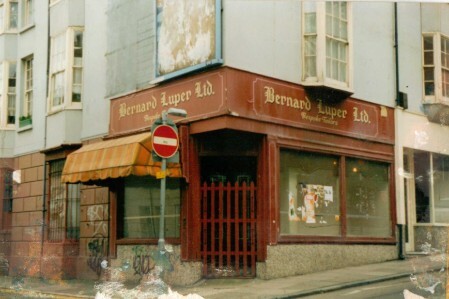 Above: 40 Sydney Street in 1994 and in 2011. 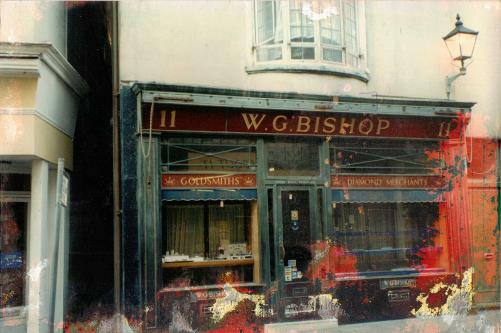 My first place of work between 1984-87. 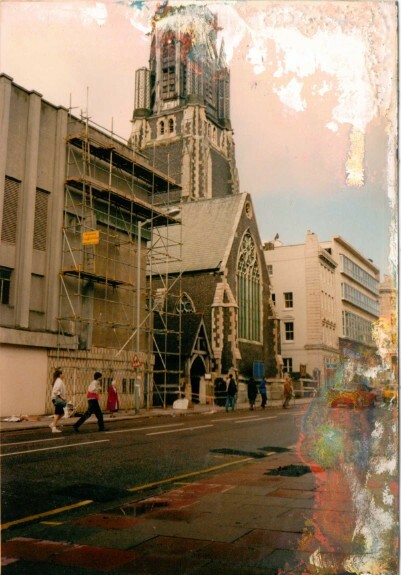 The top of Church Street in 1994 and now in 2012. Not the best of pics from 2012 but the best I could get for now! 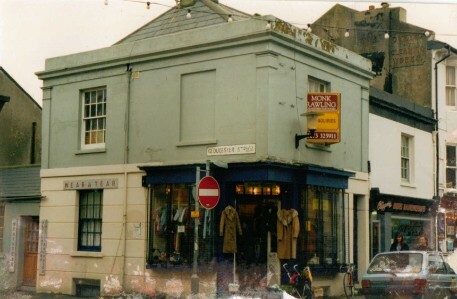 Above: North Road at the corner of North Road and Regent Street in 1990 and later in 2012. 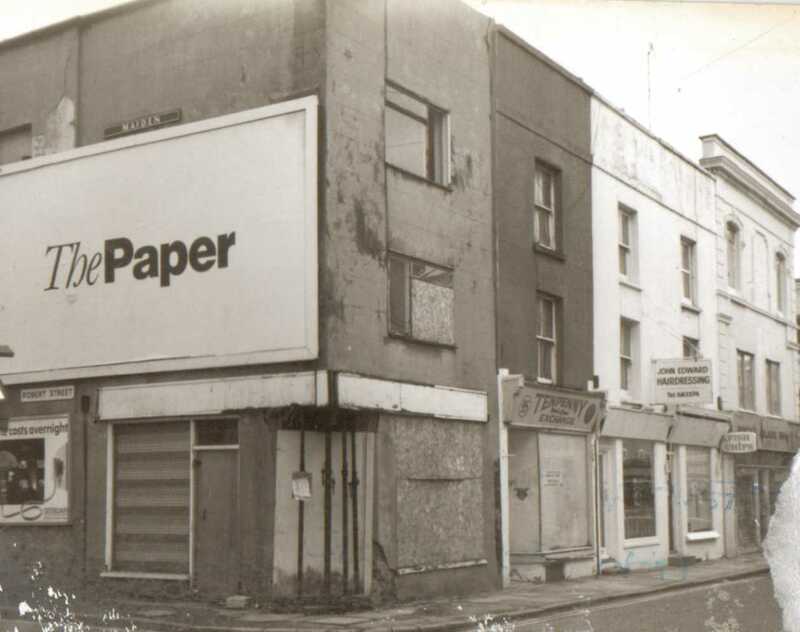 Not much change really but such a shame the advert was painted over on the side wall. Still just visible if you get in the right light. 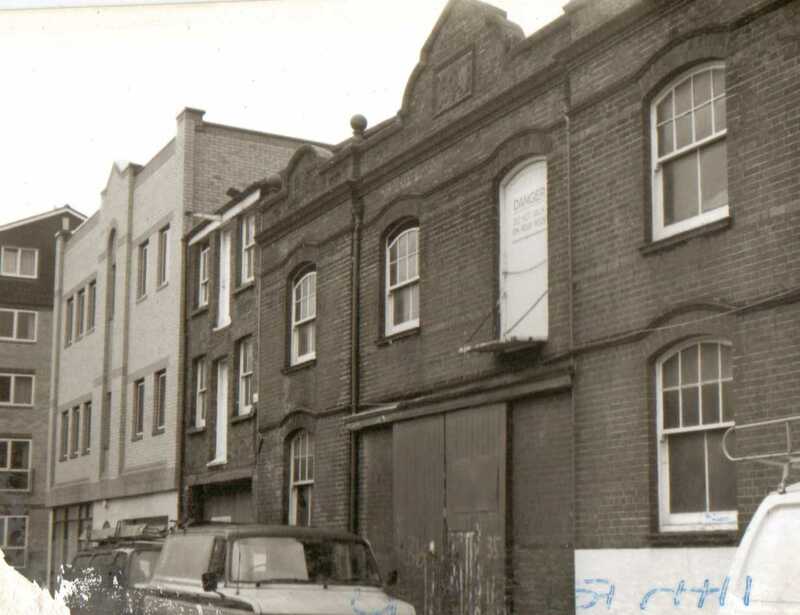 Above: North Road swimming baths taken in 1990 and in 2011. 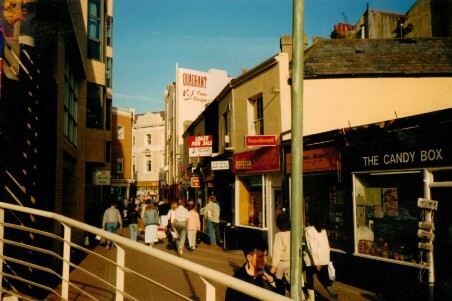 Above: North Street at the corner of Regent Street in 1990 and again in 2011. None of the old buildings exist. 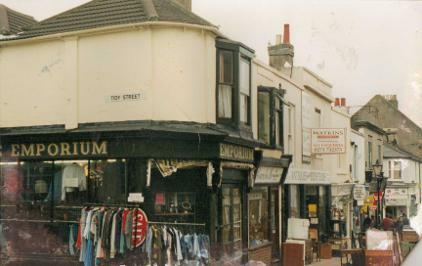 Above: North Road in 1990 and again in 2012. Most of the buildings have been demolished. 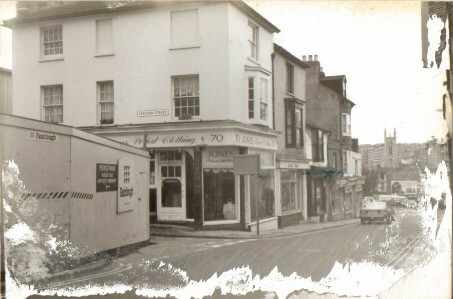 The only thing recognisable is the cobbled paving stones to the right of the picture and the buildings further up the road. 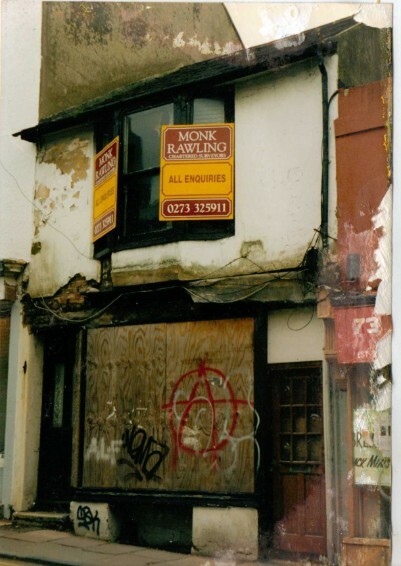 Above: Bottom north side of North Road in 1992 and again twenty years later in 2012. 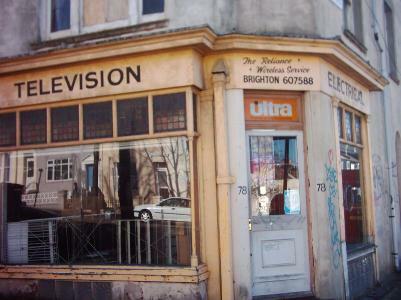 Converted from a shop in 1911 to a 350 seater cinema called the Coronation which lasted up until 1939. 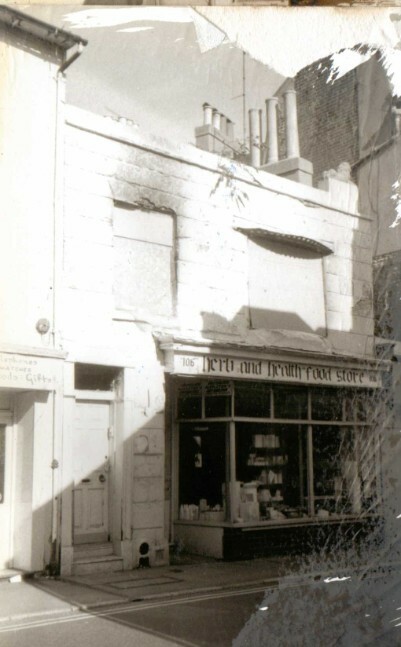 Later converted back into a shop. 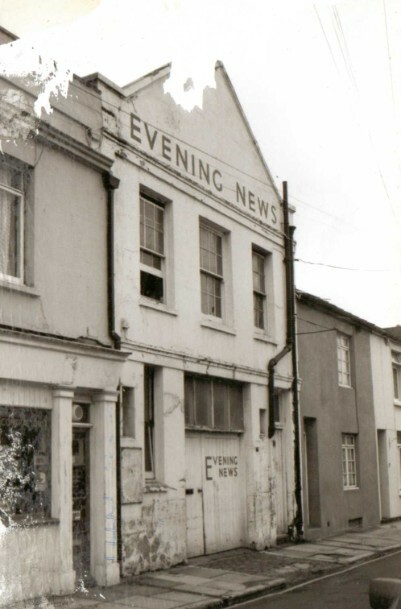 Above: Evening News building in Kemp Street in 1990 and again in 2012. 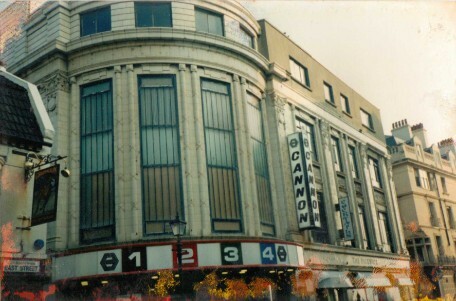 Above: Cannon cinema in 1991 and now Days restaurant in 2012. 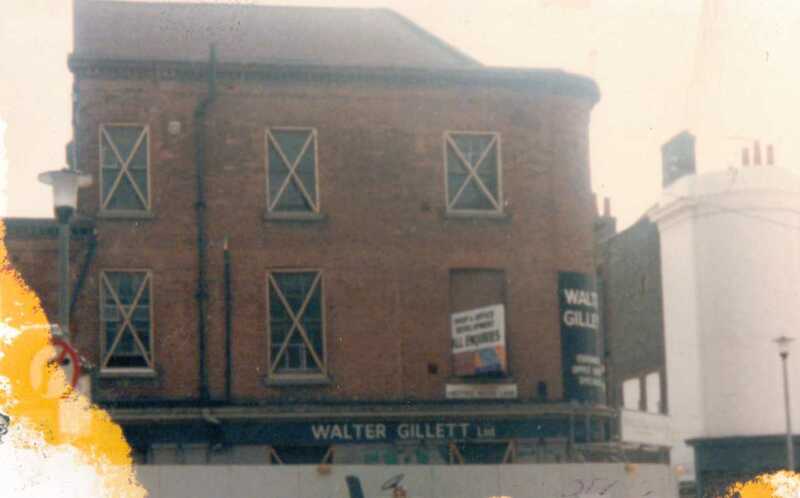 Walter Gillets store which ran from Market Street, along Nile Street and to Meeting House Lane shown here in 1987. 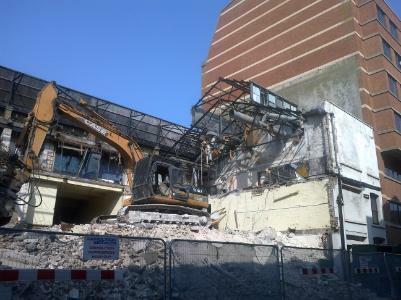 The old building was largely demolished. 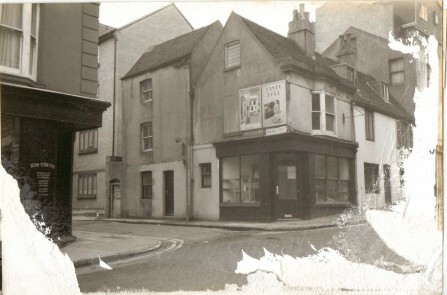 Part of it was saved at the Meeting House Lane end. Photographed again in 2012. 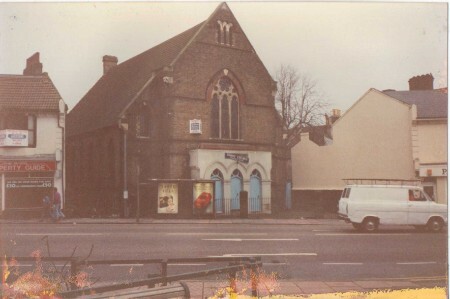 Above:The church at the bottom of New England Road in 1990 replaced with flats. Taken in 2012. Above: the Out-patients department of the Royal Alexandra Hospital, Dyke Road in November 2010 and the cleared site now in March 2012. The only thing to compare in each photo is the road markings on the floor outside the building. 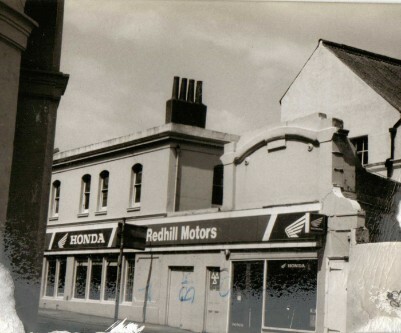 Above: The corner of Western Road in 1990 and again in 2012. 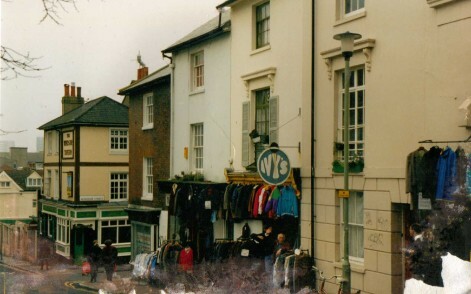 Above: Air Street in 1988 and again in 2012. 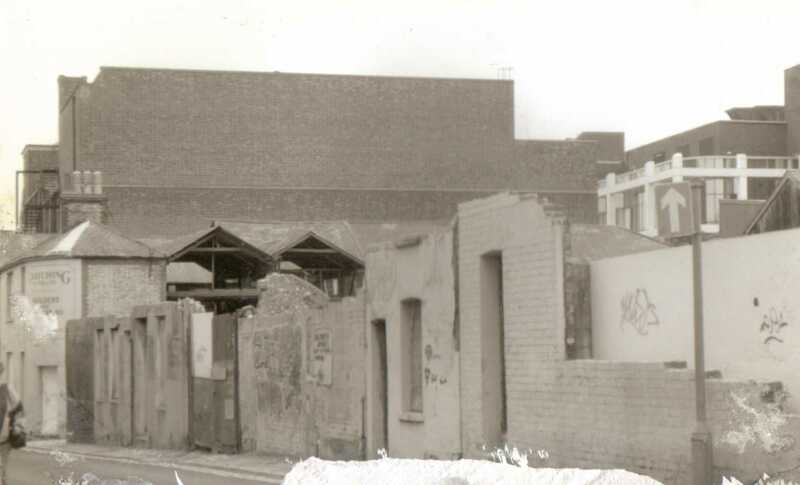 Most of the right hand side from 1988 has been demolished. 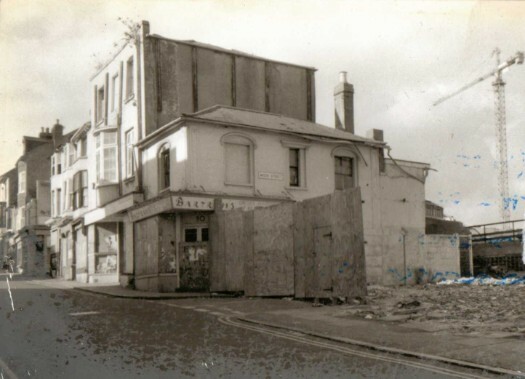 Except maybe the pub (The Quadrant as it was) there is nothing left of old Air Street. 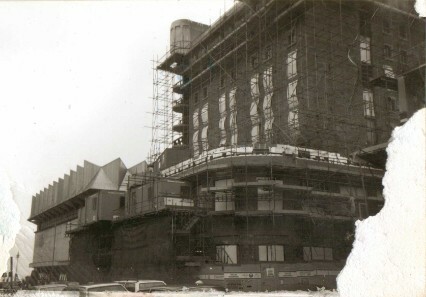 Above: The building of the Royal Oak hotel in 1991. 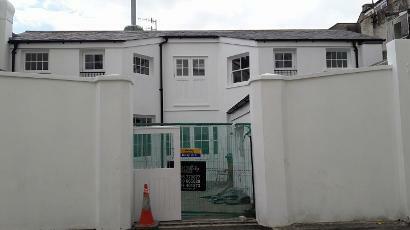 Built on the site of the SS Brighton sports stadium which had been demolished decades before this. Photographed again in 2012. 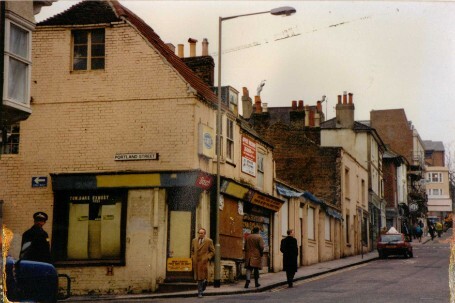 Above: The bottom of Islingword Road in 1988. 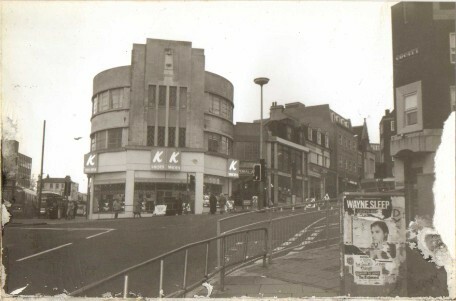 The Co-Op dairy is just to the right of the photograph. Taken again in 2012. The Co-Op dairy long gone and replaced with housing. 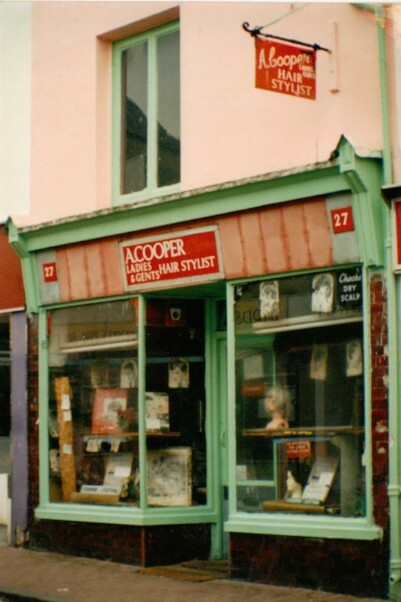 Coopers in Baker Street famous for its cheap haircuts for men. Taken in 1995. It closed not long after this photo was taken. Photographed again in 2012. 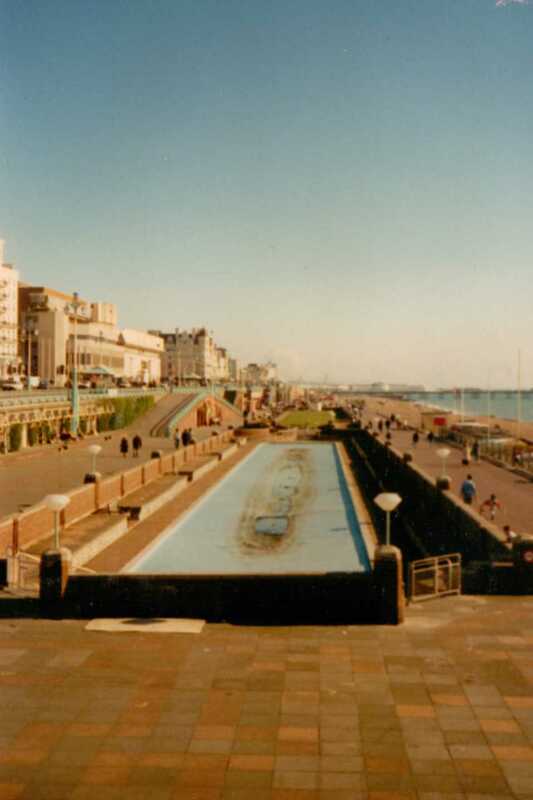 Above: The paddling pool by the West Pier taken in 1989. Sadly now filled in and used as a skateboarding area in 2012.